Ripple price is following a declining path and it broke the $0.3100 support against the US dollar. 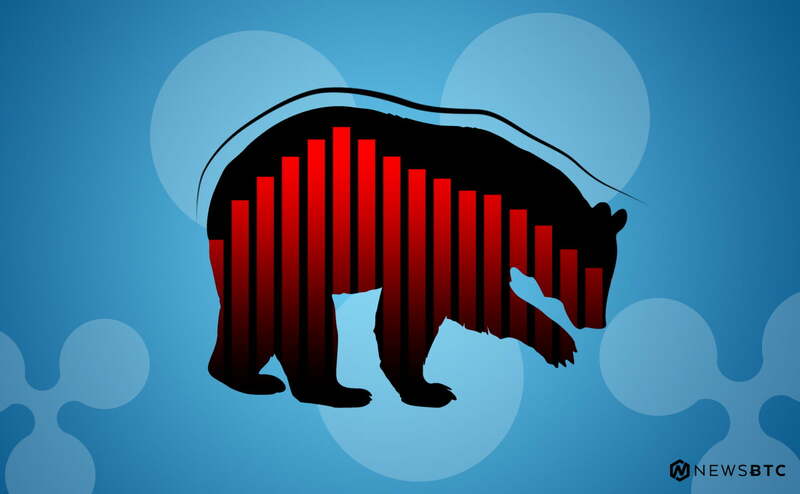 The price remains at a risk of a sharp decline below $0.3000 and $0.2980 in the near term. There is a major bearish trend line formed with resistance near the $0.3040 level on the hourly chart of the XRP/USD pair (data source from Kraken). The pair remains in a downtrend and sellers remain in action below $0.3040 and $0.3080. Ripple price declined below key supports against the US Dollar and bitcoin. XRP/USD could decline sharply below $0.3000 and $0.2980 to test the $0.2850 support level. In the past few days, there was a steady decline in ripple price from the $0.3200 swing high against the US Dollar. The XRP/USD pair traded below the $0.3150 and $0.3100 support levels to enter a bearish zone. There was even a close below the $0.3080 support and the 100 hourly simple moving average. Recently, the price even broke the $0.3050 and $0.3040 support levels. Finally, it spiked below the $0.3000 support and a new monthly low was formed at $0.2972. Later, the price corrected higher and traded above the $0.3000 level. It surpassed the 23.6% Fib retracement level of the recent drop from the $0.3129 high to $0.2972 low. However, the previous support near the $0.3050 level acted as a strong resistance. Besides, the 50% Fib retracement level of the recent drop from the $0.3129 high to $0.2972 low acted as a resistance. More importantly, there is a major bearish trend line formed with resistance near the $0.3040 level on the hourly chart of the XRP/USD pair. The pair declined again and it is currently trading below the $0.3020 level. It seems like there is a risk of a sharp decline below the $0.3000 and $0.2970 levels. The next key support is near $0.2850, where buyers might appear. On the upside, the price may continue to face sellers near $0.3040 and $0.3050. To start a recovery, the price must break $0.3050 and then $0.3080 in the near term. Looking at the chart, ripple price is following a bearish structure from well above $0.3200. If sellers gain pace below the $0.3000 support, there could be a nasty drop towards $0.2850. The overall price action is suggesting more losses in bitcoin, Ethereum, XRP and other cryptocurrencies in the coming sessions. Hourly MACD – The MACD for XRP/USD is about to move into the bearish zone, suggesting more losses ahead. Hourly RSI (Relative Strength Index) – The RSI for XRP/USD is currently near the 40 level, with a minor bullish angle. Major Support Levels – $0.3000, $0.2975 and $0.2850. Major Resistance Levels – $0.3040, $0.3050 and $0.3080.